Behindwoods grabbed a golden opportunity and attended the exclusive first listen session of our Superstar’s Kabali audio that is scheduled to release, tomorrow on 12/06/2016. Excitement galore, we give you an insight on what to expect from the album. 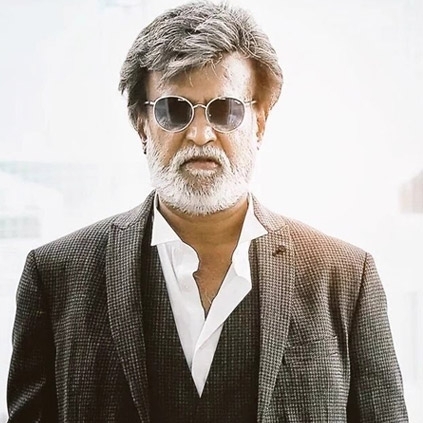 Santhosh Narayanan being the master of mellifluous melodies has delivered the perfect recipe for fans of our Superstar Rajinikanth. The tracklist consists of five songs that also includes a rap number. Given that the recently released teaser spiked the already over the top expectations of the movie, one expects nothing but greatness from him. With an overload of hype and soaring expectations, one can imagine the amount of hard work and sweat gone into the making of the album. From the perspective of a Behindwoods listener, has Santhosh Narayanan delivered the best? Yes, hands up; for the songs live up to the long waiting we have been putting up with. The music director has raised the benchmark for fellow makers and given an album that is sure to amp up fanaticism. Ulagam Oruvanukka crooned by Ananthu, Santhosh Narayanan and Gana Bala give a tease of what the album has to offer. With lyrics by Kabilan and Vivek, this song is a given mass number. One can not help but imagine the track with Superstar’s regal screen presence. Maya Nadhi with lyrics by Uma Devi is a treat in itself. This song is soulful and offers serenity. Swetha Mohan’s voice stands out in the number and is a delight to listen to. Well supported by Ananthu and Pradeep. Veera Thurandhara The backbone of this track lies with the chorus and side singers while Gana Bala’s voice acts as the cherry on top. Vaanam Parthen is the kind of track you will hit on when you are in the mood to question the philosophy of life. It is serenity personified and the frequent pauses in the song, breathes life to it. Celestial is the apt definition for this track. Neruppu Da being already a favorite for many, Neruppa da will make you get on the floor and dance it out. It is an amazing mass number that will bring out the Thalaiva vibe in every soul out there. Being a sure shot winner, this song is definitely the one you need to watch out for. To sum it up in style the album is a mix of stand out super encore tracks. As they say - “Kabali da”. With inputs from Vaishnavi & Bala.